Mickey and Barney's circus pitched their big top just down the road from Dr Hyde Park. For a second we thought we were nowhere near the field and that the crowd walking were circus-goers. Tom Crean aside, Kerry people are notorious for getting lost in places far away from home. But men in woolly hats seldom go to circuses. We followed the crowd. There was a team of white huskies warming up for their show and no sign of snow, even though it was early for circuses. A beautiful woman, who I would guess was an acrobat from the elegant way she emptied a pale of water, was dressed in a tracksuit. A small dog sat on his own small feet. He was a circus dog and was saving himself for jumping through hoops. Hyde Park is only a human cannonball away from Mickey and Barney. There were times when Kerry produced the kind of football we love and cherish. The Ringmaster Peter Keane will have been very happy. Kerry are in the final of the league with a young team that is only barely run in. There was a big Kerry support. This team has a following. Many of the Kerry supporters went up on the bus the night before the game. That's the thing about the GAA. You can walk into any public or private house in Ireland and before long you will find a man or a woman who will engage in GAA speak. The supporters were treated to the kind of welcome usually reserved for American presidents whose ancestors hail from the local village. I met a Kerry supporter and she insisted I write the line: "The Rossies did everything except light a bonfire." Conor's dad, Martin, is a Roscommon man and lives in Roscommon. Conor is not some sort of blow-in, buy-in. We met his mother, Anne, at the game. She was surely proud of her boy, who did very well. He kicked three frees and was involved in more assists than the Valentia lifeboat. Enda Smith was so good, as he always is, when he came on but the Rossies found it hard to cope with a Kerry forward line that will have most defences planning their training camps in Lourdes. Kerry are moving the ball fast and the skill levels are very high. Seán O'Shea kicked 2-6. He works hard too. There are no stars on the dressing room doors of the Kerry circus. David Clifford is a mix of Darragh Ó Sé and Maurice Fitz. He is a long way off full fitness and when David came off about five minutes from time, he looked so happy that he had come through in one piece after a long-term injury. Newcomer Diarmuid O'Connor from Na Gaeil has the stamina of Theresa May. Kerry's midfielders worked very hard to make sure there was no quick ball in. Graham O'Sullivan, in his first full game, was tight and tenacious in defence. Jason Foley has pace to burn. Kerry's defence is far better now. 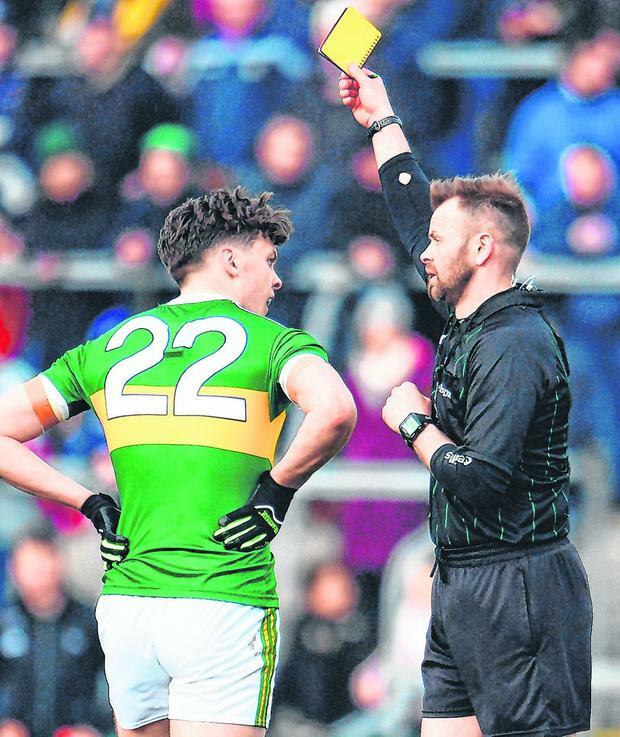 Stephen O'Brien could be Kerry's answer to the sweeper conundrum. Stephen was a part-time defender. I wish there were two of him - one for the backs and one for the forwards. The one thing that bothers me is our opponents will put so many men behind the ball that the empty end of the field will end up like the overgrown weedy wilderness that is Casement Park. Roscommon, to be fair, brought players back but they attacked too. There is an All-Ireland in this Kerry team. The only question is when. Roscommon were excellent early on. They have improved defensively from last year. If they can get the fitness levels up to off-the-charts, they will trouble most teams. These lads give their all. I passed by their team room in the hotel. They were so serious and so committed. I know some of their players. They cannot be faulted for the integrity that comes from working hard for your own people. We went by the circus on the way out of Dr Hyde Park. Every time I hear the tent music, there is a sense of exhilaration. We decided to stay the night. There is no sweeter pint than the first down after a game. I can hear Pavlov's Bell ringing, so we had better finish up soon. Sports columnists are paid by the word and not by the hour. The Bomber Liston said one time: "It's time to take the circus off the road." He meant Kerry had been celebrating far too much. I seem to remember the line was interpreted that The Bomber was retiring. But this is a Kerry circus that will be on the go for some time to come. Just like Mickey, Barney, the white huskies, the hula-hoop small dog and the beautiful acrobat.